Places to see in Puri: The major attraction here is the Jagannath Temple. Built in 11th century, this temple is considered one of the 4 major dhams of pilgrimage for Hindus. This temple only allows Hindus to enter and offer puja. You can offer pujas, in the Jagannath Temple and the Shani Temple, and enjoy the prasad and bhog of this place. Other places to see are Shankaracharya’s Gobardhan Pitha, which is a Hindu math. The cremation site of Swargadwar, means the Gateway to Heaven, Sunara Gaurang Temple, Chakra Tirtha Temple, Bedi Hanuman Temple, Mausima Temple, Shree Gundicha Temple, where Rath Yatra ends and Shree Lokenath Temple, where the half submerged Linga of Lord Shiva is present, signifying his hiding from Shani are the places you can visit. The golden beach is another attraction that drives people to come to this place again and again. For more photos of Puri click here. Nearby attractions of Puri: There are many places to visit that are close – like the Chilka Lake, Sun Temple of Konarak, Alarnath Temple, Chandrabhaga Sea Beach, Satapada Dolphin Sanctuary, Raghurajpur that is known for Patta Chitra and Pipili renowned for appliqué work. 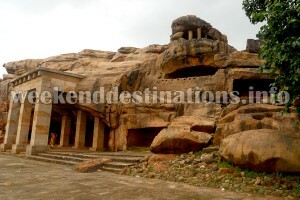 Other places of interest are Lingaraja Temple and Bhubaneshwar’s other temples, caves of Khandagiri and Udayagiri, Ashoka’s Dhauli rock edicts, Atri sulphur spring, Chandaka elephant reserve, Balihar Chandi Temple, Yogini shrine of Hirapur and Nandankanan sanctuary. Things to do in Puri: The main thing to be done in Puri is sightseeing. The place has a wide range of touring spots, which invites people to spend an eventful weekend. 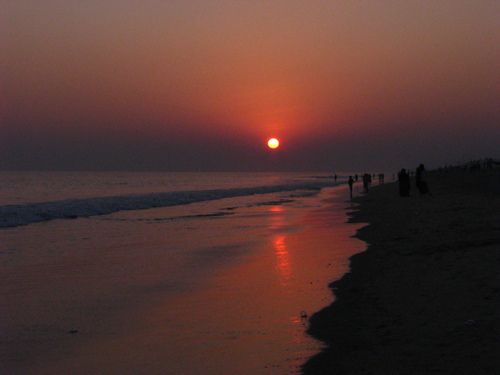 The golden beach of Puri is an ideal spot for swimming and surfing. 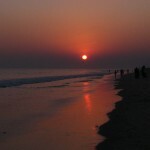 You can even choose to relax on the Puri beach, which is also a popular choice among travelers. The Ramchandi Temple is a popular picnic spot for tourists as well. You can also take a long drive on the Puri Konark Marine Drive that goes through many isolated beaches. How to reach Puri: Puri can be reached via roadways by covering a distance of 540 km from Kolkata through Bhubaneshwar. From Kolkata Bhubaneshwar can be reached by taking on the National Highway No.5 and from there taking the State Highway No. 8 you can reach Puri. It takes 2 hours to reach Puri from Bhubaneshwar on car. You can also ride any of the fast and super fast trains that connect Kolkata to Puri, like the Howrah-Puri Sri Jagannath Express or the Howrah- Puri Express and others. Both the trains cover a distance of 502 km and takes about 9 hours. You can also reach Bhubaneshwar by air. The airport of the State capital at Bhubaneshwar is something 60 km from Puri and is connected by regular flights. Best time to visit Puri: Tourists can visit the place all throughout the year, as the temperature remains moderate in this coastal region. There is a huge festival of Rath Yatra in July, when thousands of pilgrims come to get darshan of Lord Jagannath. Lodging and dining facilities at Puri: The temple town of Puri accommodates guests and pilgrims from all walks of life. Some of our hotels are located beside the sea beach whereas some of them are located near the Jagannath Temple. 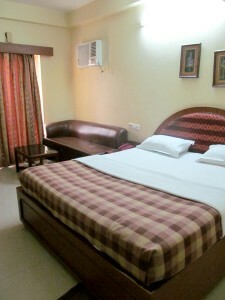 The hotels have AC as well as non AC rooms in every budget and come with all standard facilities like restaurants, personal balconies, attached western bathrooms with hot water arrangements, TV, Generator etc. Puri offers numerous restaurants and eateries for you to relax and savor various delicacies. A wide range of vegetarian and non-vegetarian restaurants are available in New Puri, Swargadwar and C.T. Road. While you stay here, don’t forget to try Chenapoda, available in front of Jagannath Temple after 8:00 pm. Puri’s Bhang sharbat and Chandanpur’s Malpua and Rabdi are some items you must taste, while spending a weekend at Puri. However, the show stealer is surely the Bhog served at Jagannath Temple. You can book the Bhog in advance and it can be delivered to your hotel too. Valuable information about Puri. thanks for sharing this information.